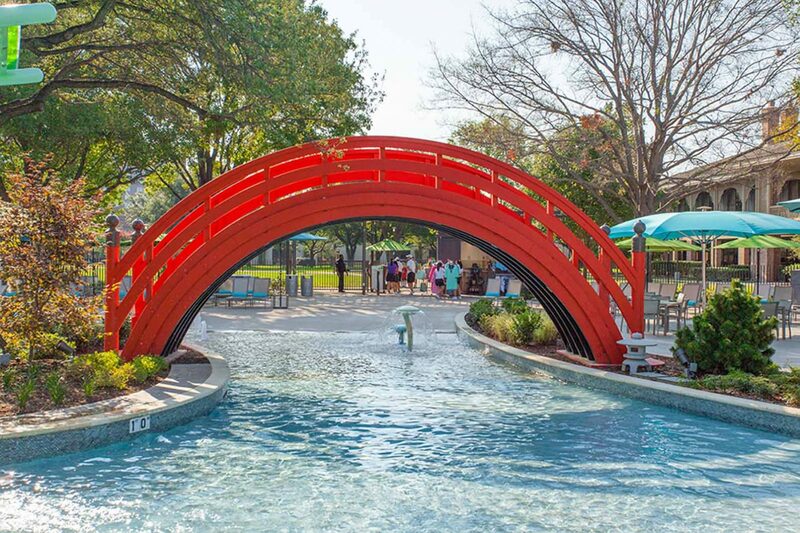 Situation > The world renowned, high end Hilton Hotel company decided to build a luxurious water sculpture garden experience at their Dallas, Texas location. Due to location and weather, this project had a few difficulties to overcome. Action > Construction started while design was not finished and was continuing to develop. Through communication and an efficient submittal process, T&G was able to keep construction going while assisting the Project Team with reaching design solutions. Site access was limited; new construction came within a few feet of the existing structures. Construction of a portion of a canopy was delayed and used as site access where the impact was least to construction progress. Any construction requiring large equipment was highlighted and became first focus. T&G handled record breaking rainfall by preparing the job site prior to each rain event to minimize its impact. Rain remediation was performed after rain events and Saturday and Sunday work reduced the impact on the schedule. Additionally, the use of double and triple shifts also helped the project recuperate time. Results > The outcome was a breath-taking, ultimate, sophisticated upscale water oasis experience. The park rests on three acres of beautiful, lush landscaping that hosts seating for up to 800 guests. An attached 4,000 square foot leisure cove pool (open year round) that has a 23 seat swim-up bar allowing guests to splash and sip. 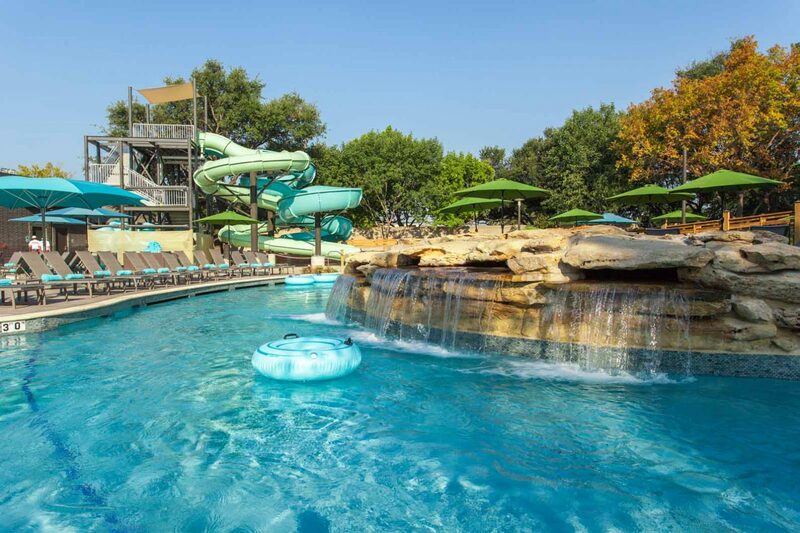 It also features a 630 foot Jade River, a 7,000 square foot activity bay, a childrens panda play area, and two 180’ winding water slides. The experience includes a high end building with a covered seating area, bar and grill that seats 120 guests for a more formal dining experience. There, guests can sit down, relax and watch the park. 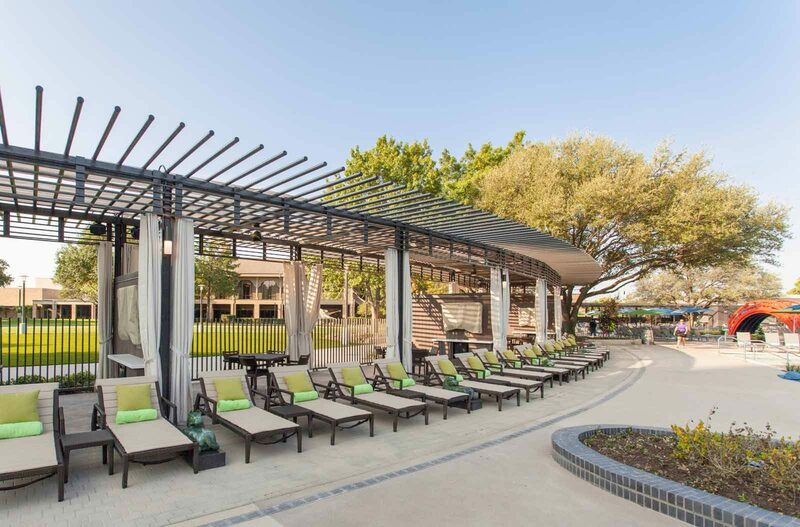 This project also includes daybeds and rental luxury cabanas featuring 55” televisions, fans and refrigerators at the pergola building, restrooms and a first aid room. The entire park has a wireless system with audio speakers. The Hilton proudly boasted its new water experience with all of it’s beautiful, fun features on Good Morning Dallas upon opening.